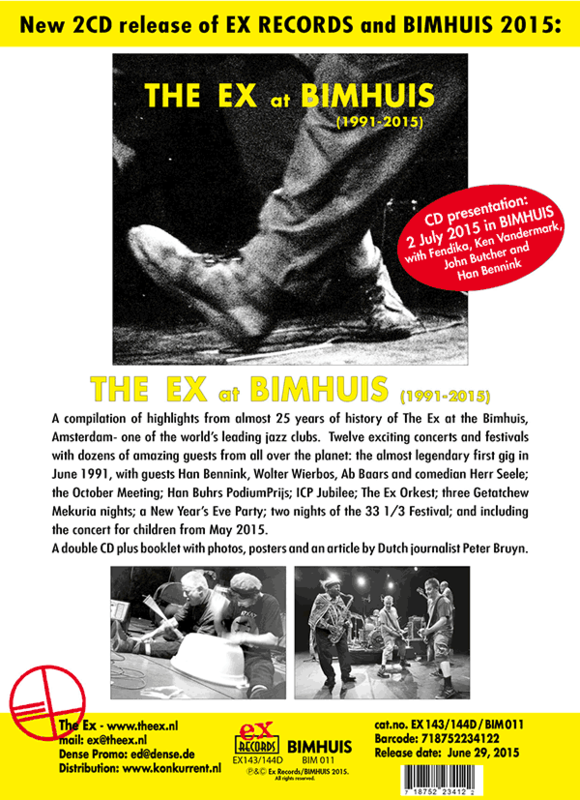 The Ex At Bimhuis (1991-2015) is a compilation from almost 25 years of history of The Ex at the Bimhuis, Amsterdam, one of the world's leading jazz clubs. Twelve exciting concerts and festivals with dozens of amazing guests from all over the planet: the almost legendary first gig in June 1991 with guests Han Bennink, Wolter Wierbos, Ab Baars and comedian Herr Seele; the October Meeting; Han Buhrs PodiumPrijs; ICP Jubilee; The Ex Orkest; three Getatchew Mekuria nights; a New Year's Eve party; two nights of the 33⅓ Festival; concert for children May 2015. The 2 CDs plus booklet with photos, posters and an article by Dutch journalist Peter Bruyn will be released by Ex Records on June 29th. Coming soon! 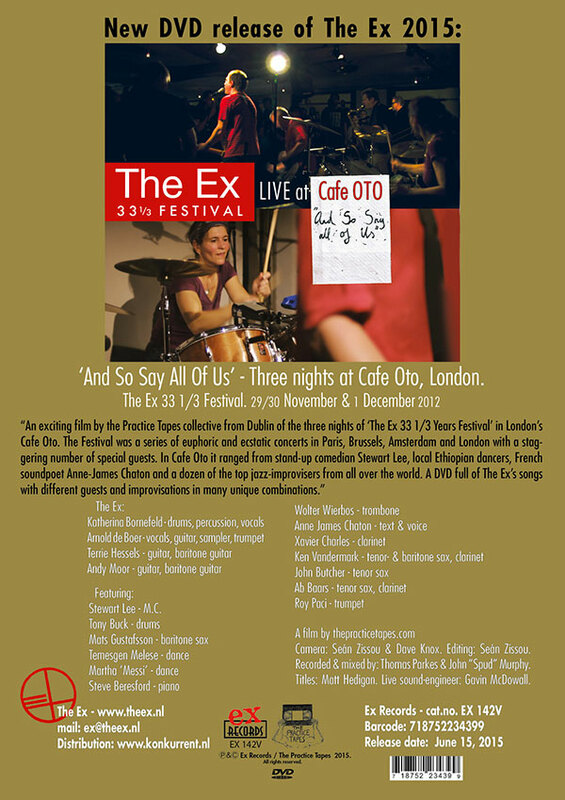 - an exciting film by the Practice Tapes collective from Dublin of the 3 nights of “The Ex 33⅓ Years Festival” in London's Café Oto. The festival was a series of euphoric and ecstatic concerts in Paris, Brussels, Amsterdam and London with a staggering number of special guests. 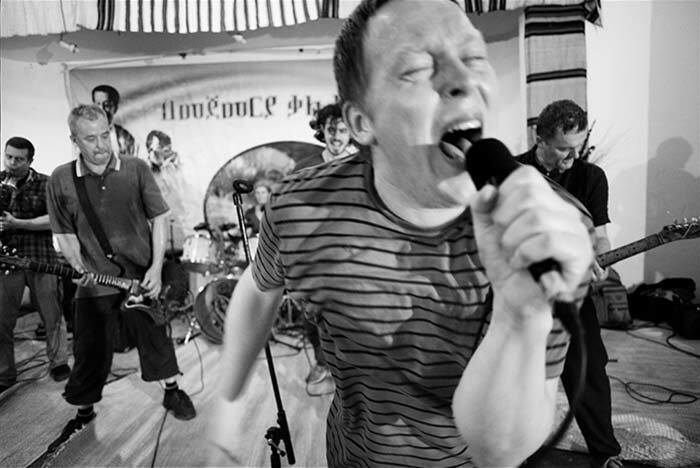 In Café Oto it featured stand-up comedian Stewart Lee, local Ethiopian dancers, French sound poet Anne-James Chaton and a dozen of the top jazz improvisers from all over the world. The DVD is full of The Ex's songs with different guests and improvisations in many unique combinations. The DVD “And So Say All Of Us” will be released by Ex Records on June 15th. 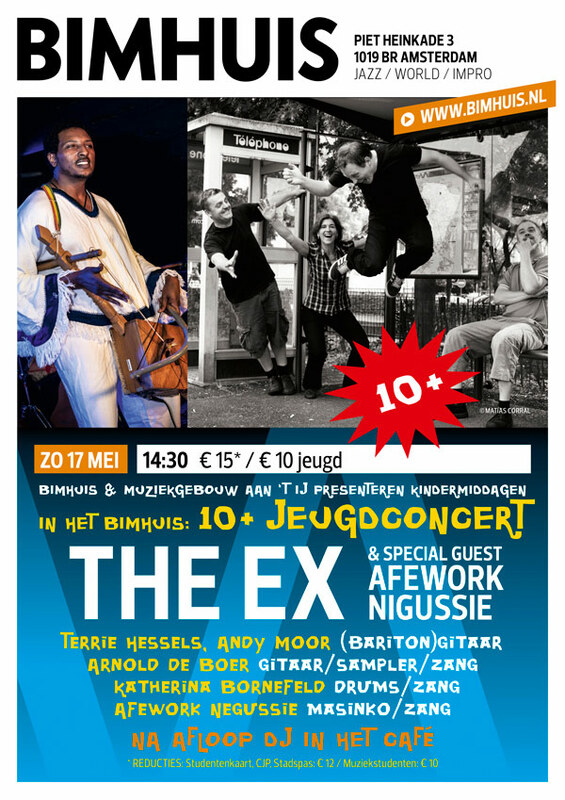 The Ex and special guest Afework Nigussie will play a Sunday afternoon show for children at Bimhuis, Amsterdam on 17th May. Tickets are available via the Bimhuis website. 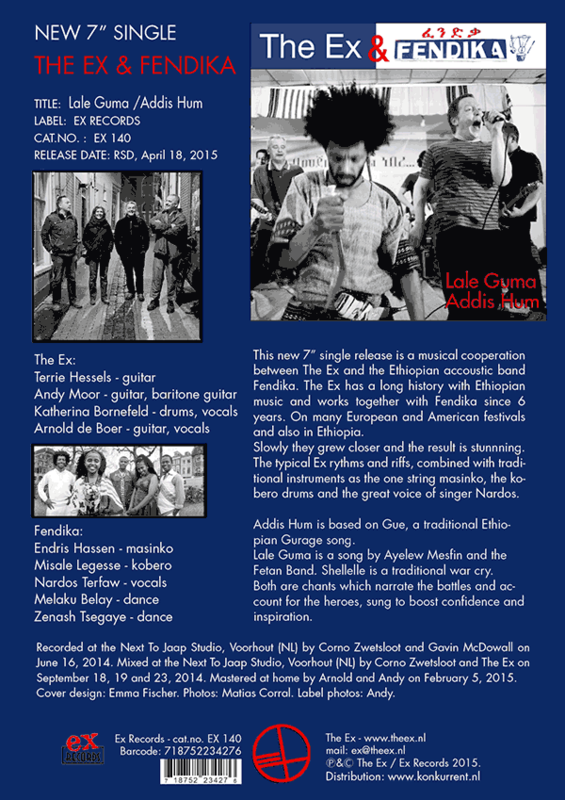 A new 7″ single, “Lale Guma / Addis Hum” by The Ex + Fendika is released by Ex Records on April 18th. View the full list of everywhere we played and everybody we played with.